Matt Cowley will return to the U as a junior next season. 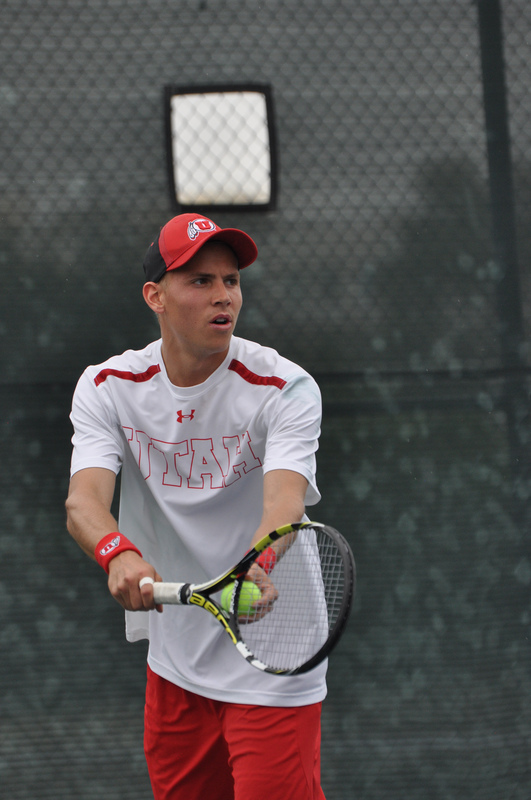 The University of Utah men’s tennis team has been invited to Athens, Georgia to compete in the 2015 National Indoor Kick-off Weekend next January 23-25. The Utes finished the 2013/14 season ranked 57th in the nation, their highest year-end ranking since 1997. The University of Georgia was the site of the 2014 NCAA Championships and also the location of the ITA Hall of Fame. This marks the first time that Utah has qualified for the event since 2010, but has never won a match in the current format. The Utes will be placed in a group with Georgia, Elon and Michigan State. The Utes are seeded third and will play second seeded Elon. If the Utes win, they will play the winner of Georgia and Michigan State in the second round. A loss will result in a consolation match. This entry was posted in Schedule/Results and tagged Elon, Georgia, Kick-Off Weekend, Michigan State, National Indoor Championship, Utah Men's Tennis, Utah Utes. Bookmark the permalink.